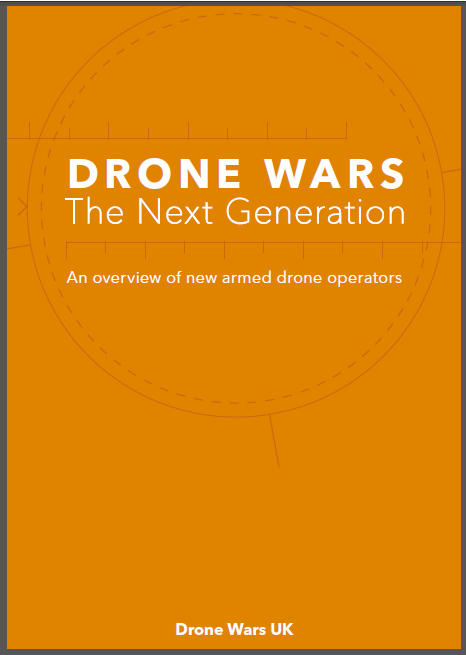 In the two years since that document was written, the development and use of armed drones has continued to grow. There have now been more than 350 British drones strikes in Afghanistan and the number of British armed Reaper drones in service is about to double. Work to increase the autonomy of drones has also continued and earlier this week BAE Systems announced that its experimental autonomous combat drone, Taranis, will make its first flight sometime in the next couple of months. Researchers, campaigners and MPs trying to get to grips with the implications of the growing use of drones however are being constantly frustrated by the secrecy surrounding their use. Despite the MoDs call for more informed debate, requests for information are being refused point-blank. The latest example was the refusal yesterday (17th Jan) of MoD Minister Philip Dunne to answer a question about the accuracy of British drone strikes from Tom Watson. 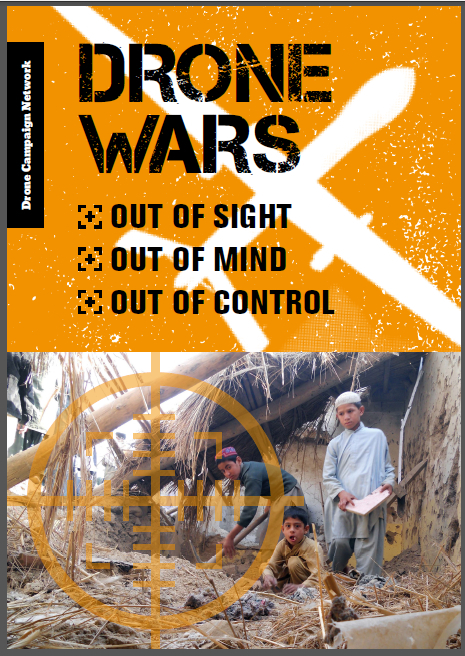 Drone strikes are constantly reported as being “pinpoint accurate” – the phrase has almost become a cliché – yet there are serious questions about the accuracy of Hellfire missiles. The accuracy of each missile or bomb is measured by its ‘Circular Error Probability’ – that is the dimension of a circle of which 50% of missiles or bombs will hit. 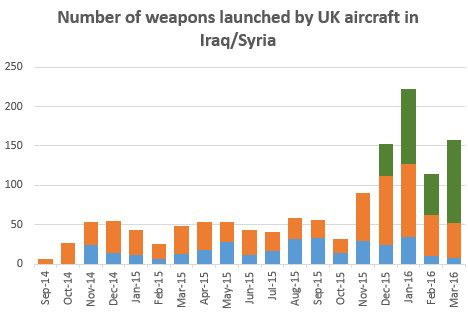 In the case of the GBU-12 laser guided bomb, the CEP is 6 metres in good weather – hardly ‘pinpoint’. The CEP of Hellfire is not public as far as we know. While the MoD’s 2011 policy document on drones calls for better understanding , we know from a 2011 internal MoD briefing the MoD has also stressed the need for a “communication strategy” to win over public opinion in support of armed drones. When occasional piece of information are provided by the MoD we have to decide whether it is objective, or if it is primarily part of a ‘communication strategy’ meant to persuade us of the efficacy of using armed drones. And what’s worse, it appears that part of this persuasion strategy is simply not to reveal information that may put the use of drones in a bad light. Over the past few years we have seen plenty of examples of the disastrous consequences when certain groups claim the privilege of exemption from scrutiny and accountability – bankers and their profligate ‘sub-prime’ loans policy, MPs and their expenses, being just two that jump to mind. The MoD’s culture of secrecy and its refusal to accept scrutiny and public accountability is another disaster waiting to happen. It is not enough for the MoD to write about the need for public debate and understanding in policy documents on the one hand, and then refuse information to allow such understanding on the other. There is a great deal of public interest in the use of armed drones and the MoD must release information that would allow such debate and understanding to happen. There’s nothing like a good war for politicians and businessmen. Wars help failed politicians (like Bush, Obama, Mush, Zardari, Karzai etc) reinvent and empower themselves as they turn their insecurities and delusions of grandeur into a national cause. And for those who make its instruments, nothing beats the war business. The world economy may be tanking and ordinary mortals like me and you may be driven up the wall by spiraling inflation. However, things that go “bang” and kill in ever new ways are on a roll. The ineffectual angels of the United Nations and big boys who run the whole circus may make a great deal of promoting peace and stability around the world, but no one really wants peace. Especially not in the Middle East, Af-Pak and South Asia. Wait until they start using UAVs with Wide Area Persistent Stare 1.8 gigapixel camera technology on them over our own cities. Just four drones could film the whole of London in ultra-HD, 24/7. The operators can open 65 windows anywhere within the field of view of each drone, and track seperate vehicles/people. The cameras can zoom into anything as small as 6in across from 20k feet. The US is already using this in Afghanistan, and it won’t be long before it’s used in our own countries. There’re videos of the designers on youtube, demonstrating it.